Simonton 5300 windows are virtually the same window as the Simonton Prism Ultra Gold - Simonton names the two series differently depending on whether you live in the western or eastern part of the country. The Reflections 5300 window is the step up in the 5050 and Prism Series and offers a slightly thicker and better made vinyl extrusion than what's used on the Simonton Asure window. The 5300 uses a reasonably strong frame, is nice looking (if somewhat plain) and is available in a fixed frame, double hung, single or double casement, as well as a horizontal slider. The window comes standard with double strength 3/4" insulating glass, a ProSolar low-e glass and an Intercept spacer. Just like the Simonton Asure Series, the 5300 Reflections can be ordered in either a tan or white interior and extrerior frame colors. Note: the Prism Ultra Gold offers a slightly better warranty and slightly better glass options than the Reflections 5300 series. They should be priced virtually identical to one another, but again only one or the other will likely be available in your area. The Simonton Reflections 5300 Series should run approximately $45 to $55 per square foot for the window itself and $55 to $65 psf for the window and installation. A good cost comparison for the 5300 Series would be the Pella 350 Series price or Milgard Tuscany window prices. The Simonton 5300 Series double hung that is 44" W x 63"H will have an air infiltration rating of .14 scfm/ft2. 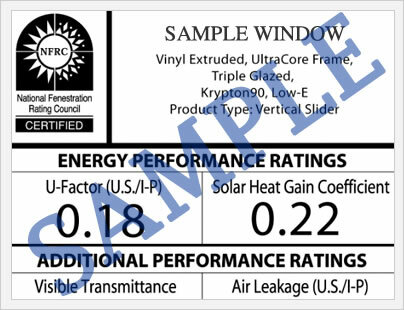 This same double hung with the Low-E 366 glass package that includes argon fills, grids and the Intercept spacer will have a .32 U-factor, 3.13 R-value, .41 VT, .18 SHGC and .84 UV Block (this last measurement is from center of the glass). 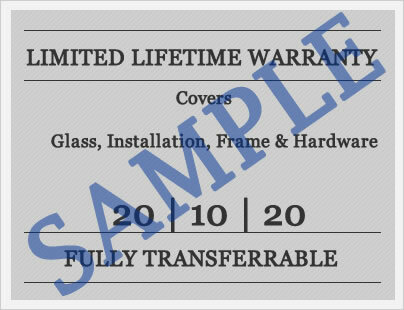 The 5300 Reflections model includes a double lifetime limited warranty on the mainframe (and all vinyl materials), components, screens and hardware. The double lifetime means that if you were to sell your home, the next buyer gets the warranty for their lifetime as well (homeowners must notify the company in writing of the transfer). Do you have a question for Jim or John (our site experts) about the Simonton 5300 ? Our industry professionals can help you get more information on pricing, upgrades, installation requirements, contractor's bids and quotes, as well as help you sort through the quotes and companies you are considering for your next window replacement project. Want to add a Simonton 5300 window review to our site - post it here and help others get the information they need to make the right choice for their homes. Replacing 22 windows in the front of the house. Trying to decide between Simontin 5300 & Alside Mezzo. What you do think? John, I might put these windows right on par with one another. They are both good mid range vinyl windows. Not the best out there, but with a low-e glass package, I like both of these windows. I think I'd have to give the nod to the Simonton 5300 though, I'm not a big fan of the capture sill on the Alside Mezzo.